The brittle insecurity of the Saudi rulers will have been shattered even more this past week, with Washington’s political establishment openly calling into question the historic alliance between the two countries. For the autocratic House of Saud such rare criticism from the United States will intensify its already brittle insecurity over its hold on power in the kingdom. The Saudis may have acquired their modern state from British colonialism in 1932, but it is the patronage of the United States upon which the autocratic rulers of the oil-rich desert kingdom have relied for their continuing existence ever since. That patronage is now coming under sharp scrutiny in the wake of regional tensions sparked by Saudi Arabia’s execution of Sheikh Nimr. 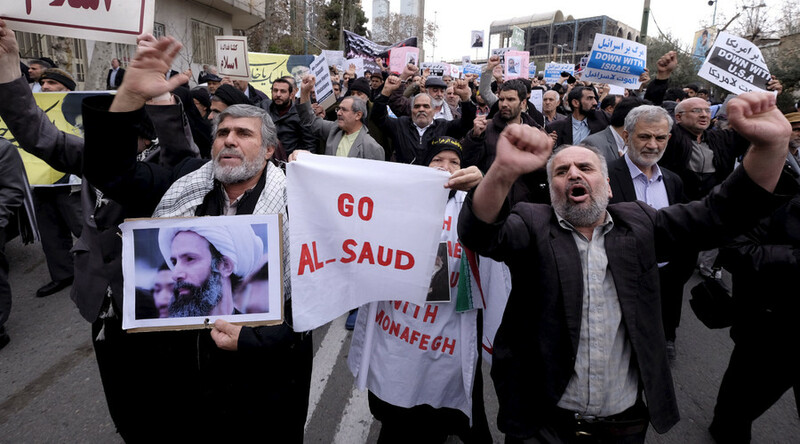 The Middle East’s Shiite power Iran reacted furiously to the execution, setting off Arab allies of Sunni-dominated Saudi Arabia to cut diplomatic ties with Tehran. The burst of incendiary actions has led top opinion-makers in Washington to some radical conclusions regarding Saudi Arabia and its role as a US ally in the strategically vital region. Hold it right there. The United States, we are told, has allowed the Saudi elite to “fund Islamic terrorists” in a tawdry trade-off for self-interests, principally the supply of oil. This is something that much of the world has long suspected, but now the two main newspapers of the US are openly saying it. While the Obama administration did not publicly condemn the Saudi execution of Sheikh Nimr, it was reported that senior officials were angry at the House of Saud for ignoring back-channel advice to rescind the death sentence. That the New York Times and the Washington Post are now calling into question the relationship with the kingdom shows that there is a top-level debate within the American political establishment about the bilateral relationship. What is motivating Washington’s growing impatience with the Saudis is that the regional instability is jeopardizing US diplomatic efforts to launch a political process in Syria, whereby the Obama administration is trying to engineer its long-held goal of achieving regime change in the Arab country. The political talks are due to begin later this month in Geneva and involve the participation of Russia and Iran, as well as the Saudis. It is clear that Washington wants the talks on Syria to be a framework that will lead to the eventual ouster of Syrian President Bashar Assad. Both Russia and Iran maintain that the fate of Assad is the prerogative of the Syrian people. However, the “reckless” Saudi regime is evidently jeopardizing Washington’s carefully cultivated political project by inflaming regional tensions, and in particular by antagonizing Iran – a key ally of Assad’s Syria. 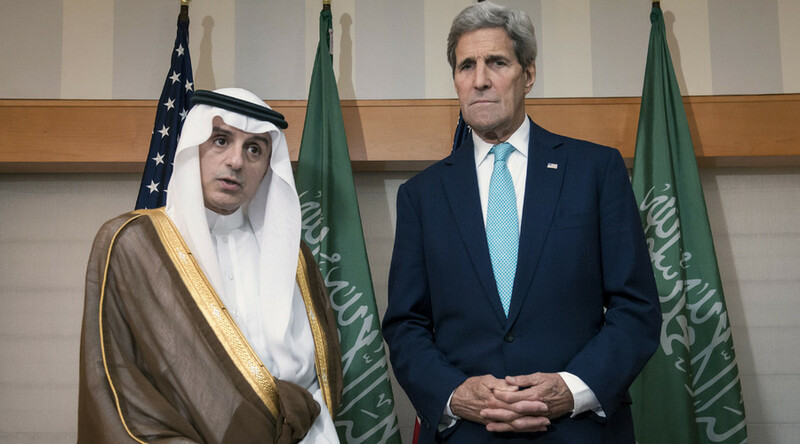 So, is Washington shifting towards a fundamental realignment towards Saudi Arabia? The idea of Washington no longer patronizing the Saudi rulers is tantalizing, but it is rather naive. For such a notion fails to understand the deep, essential dependence of American global power on the Saudi regime. 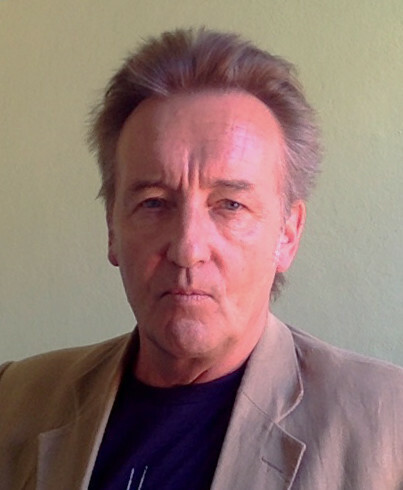 On the issue of oil, it is not merely the supply of the black stuff. More importantly it is the petrodollar system by which global oil trade is conducted. When US President Franklin D Roosevelt held his landmark summit with Saudi’s founding monarch, Ibn Saud, in early 1945 the two leaders set in motion the petrodollar arrangement by which the soon-to-be world’s top oil producer would sell in perpetuity the commodity denominated only in the US dollar. For the next seven decades, Saudi Arabia and the other Gulf Sunni Arab oil kingdoms have helped maintain the petrodollar system. Without this system, the US currency would cease to be the world’s reserve currency. Without that status, the US would collapse in bankruptcy. Although Saudi Arabia’s position as oil supplier to the US may have waned in recent years, it and the other Gulf oil sheikhdoms are nonetheless crucial to propping up the petrodollar system. If Saudi Arabia were, for argument’s sake, to start trading in Chinese yuan or the euro that would doom the dollar. In short, the US is beholden to the Saudi regime for its financial and economic survival. Another vital factor is weapons sales. Last year alone, the US sold some $20 billion in arms to Saudi Arabia – or about 12.5 percent of its global weapons exports. Perhaps topping the list is “deterring democracy” to use the phrase coined by American writer Noam Chomsky. Despite pretensions of upholding democratic values and human rights, in the real world US foreign policy operates to suppress democracy in order to make the world “safe” for American capital and exploitation of natural resources. Washington has not merely turned a blind eye to Saudi despotism over the past seven decades, it has relied on it for the suppression of democratic movements in the oil-rich Middle East. In that way, the House of Saud is the other side of the American coin to the Zionist regime in Israel. Both are fundamental to American hegemony. The US ruling class might be vexed with the despotic House of Saud for stoking regional tensions and in particular for throwing sand in the wheels of its political schemes for regime change in Syria. But the relationship with Saudi Arabia’s absolutist, head-chopping regime means that Washington can’t afford to ever give it the chop.